The packed grandstand was bathed in the early evening sunshine as the Morecambe man was first away, alongside John Barton, but he only got as far as Quarterbridge before retiring. 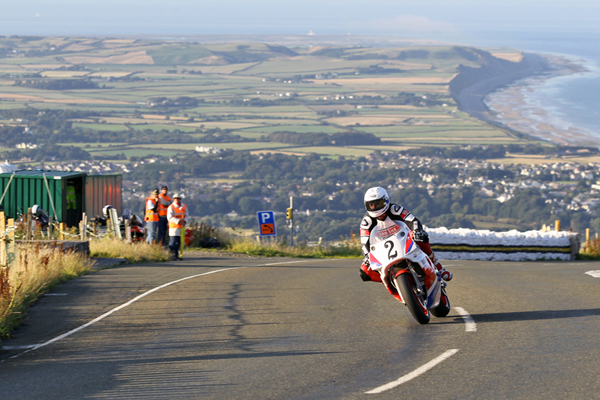 McGuinness had already missed the previous evening’s session with a reported electrical problem. John McGuinness’ problems with the Team Winfield Paton continued in tonight’s 500cc qualifying session for the 2013 Classic TT Races presented by Bennetts. Other retirements on the opening lap of the session included Michael Dunlop, riding the MD Racing Norton, while Mark Parrett and James Hillier both pulled in at Crosby Village. John Barton on the wemoto.com Kawasaki was first back to the grandstand with a lap of 114.058, his fastest of the week in the Motorsport Merchandise Formula 1 Class with Steve Mercer, riding the Yamaha Classic Race team machine also posting his fastest lap of the week with 116.493, a time he then improved on his second lap to 117.556. Mercer’s time was the fastest of the evening but others to show their hand including his Yamaha Classic Racing team teammate Mark Miller with 113.151 and Dan Kneen’s brother Ryan, who made his TT debut earlier this year, who clocked 115.212 on the DMR Yahama on his second lap of the evening. In the Motorsport Merchandise Formula 2 Class, James Cowton, the 2012 Newcomer C MGP Racer winner, clocked a very credible 110.301 with Shaun Anderson (105.608) and Chris Barrett (102.235) but the trio were behind Chris Palmer who again finished top of the class with 110.818. Dean Harrison continued his good form in the Formula Classic Class, powering his BSA to 106.758, the fastest time of the evening and the week in that class with Gavin Lupton (100.906) the only other rider to break 100mph. 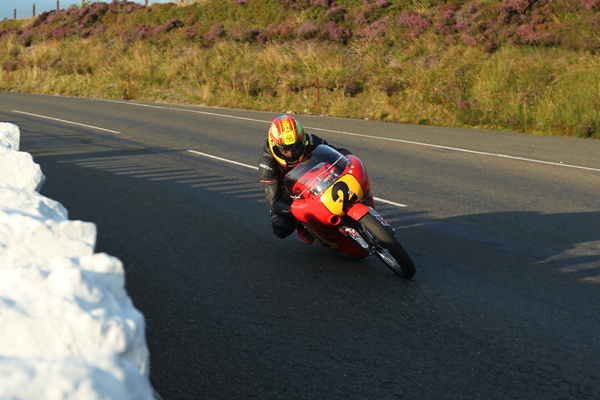 The Bradford based racer has undoubtedly established himself as one of the leading road racers on the back of his performances at the TT, Southern 100 and Ulster Grand Prix. In the 500cc Class, with McGuinness experiencing problems, Olie Linsdell can take confidence from another 110+mph lap under his belt, (110.442) with Bruce Anstey on the McIntosh Racing/Mobil 1 Norton lapping at his fastest time of the week (107.927) from Palmer (106.659) riding the Richard Shelton Racing Seeley and Cameron Donald on the Ripley Land Racing Matchless also posting his fastest lap of the week with 106.040. The first session finished at 19.00 but with a number of Motorsport Merchandise Formula 1 riders including Conor Cummins looking to use the MGP session, it was red flagged following four near simultaneous incidents at Ballahutchin, Kerrowmoar, Ramsey Hairpin and the Bungalow. The injuries sustained by the riders involved were not reported as serious. 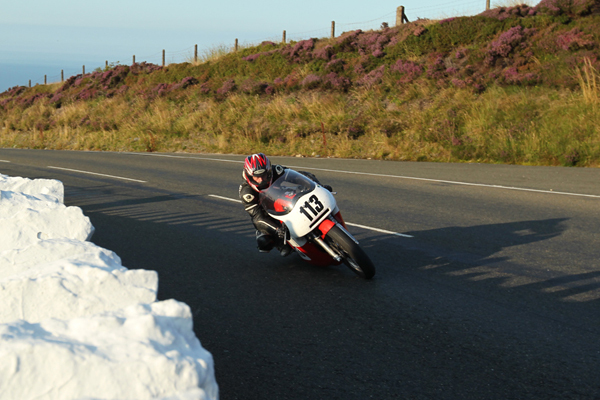 Tomorrow’s session has the Classic TT, Lightweight and Newcomers B and C out at 18.20 with the Senior, Junior, SuperTwin and Newcomers A out at 19.05.